I really am fortunate to live in a city that has so many dining and entertainment options. It had been quite some time since I had last visited Universal Studios Citywalk - a shopping and dining complex located just outside the two Universal Orlando theme parks. It was time that I paid this Orlando entertainment hub another visit. My team and work and I decided to visit the new Citywalk restaurant (take a deep breath first) Toothsome Chocolate Emporium & Savory Feast Kitchen. It's referred to more succinctly as "Toothsome". This is my review of our visit to Toothsome. What's the first impression of Toothsome Chocolate Emporium & Savory Feast Kitchen? The very first impression of Toothsome goes all the way back to the parking garage at Universal. During the day, visitors have to pay for parking ($20 per vehicle for standard parking). That's because Universal Citywalk also shares their parking with the Universal Studios and Islands of Adventure theme parks. I get it - you can't offer free parking at a theme park. That would just be uncapitalistic (that's a word now - I'm a dad) or something. But it's a pretty big bummer that you have to pay $20+ to go to lunch, or a movie or get some ice cream at Citywalk if it's before 6pm. At least they dropped the parking fee for everyone, as they used to only offer free parking after 6pm to Florida residents. I think they were feeling the competition from the recently re-launched Disney Springs not far down the road. I'm off my soapbox about parking for now. Citywalk itself is really a great first impression for Toothsome. You enter the complex via the (fun) moving walkways. You can immediately see Toothsome across the lake that separates the parks from most of Citywalk. The Toothsome building is quite noticeable, standing out in its 19th century Steampunk theme exterior. It looks like a factory was dropped smack dab in the middle of a theme park. I'm sure that's probably what they were going for when they built it. How's the menu at Toothsome Chocolate Emporium? The menu is, in a word, huge. Physically, it's quite literally a book. It's almost physically too big. But I guess we are in a factory, so we should expect things to be large. They do have quite a few items on the menu, and lay it out in a pretty typical way with drinks coming first, followed by appetizers, sandwiches, entrées and milkshakes and desserts at the end. The above photo of The Toothsome Chocolate Emporium & Savory Feast Kitchen is courtesy of TripAdvisor. Also not surprising is the proliferation of chocolate options on the menu, including (but not limited to) a chocolate bread on the appetizer menu. It's quite tasty and highly recommend giving it a try. How's the staff and service at Toothsome? On to my assessment of the staff and overall service at Toothsome now. Our server was Alexis. She also had a new server shadowing her as a trainee. Alexis did a great job with our table and found that perfect balance between attentive and annoying. Our drinks never saw the bottom of the glass, we had everything we needed, she was extremely knowledgable and she was very personable. It was clear they had her in the right role as a trainer. We also had the "owner" of Toothsome, Professor Doctor Penelope Tibeaux-Tinker Toothsome, and her robot Jaques visit our table as well. It wasn't the traditional owner or manager visit to a table. We found both Penelope and Jaques to be quite charming, personable and entertaining. Again, Toothsome's casting was spot-on here. How are the appetizers (aka "Temptations") at Toothsome? As mentioned, our group (of 5) shared an order of the Warm Chocolate Almond Bread, their "signature" appetizer and we thought it was fantastic. How are the entrées at Toothsome? Even though a restaurant like Toothsome isn't really going to be known for its entrées, the options available offer a variety for different tastes. It should be noted, however, that as of this post Toothsome doesn't offer a gluten free menu. I will only provide a review item that I ordered - the Southern Fried Chicken BLT. The sandwich was good, but also very rich. It was a deep-friend chicken breast, but not the flaky or lightly-breaded type. Its breading seriously soaked up the oil it was fried in. ...as of this post Toothsome doesn't offer a gluten free menu. I am not a huge fan of Dijon mustard, so I ordered mine on the side. The sandwich also came with a side of chips (crisps for you Brits) or French fries (chips). I opted for the French fries. As I mentioned, the sandwich and entire meal was very...fried. It was too rich for me to finish, knowing that I wanted to save at least some room for a milkshake or dessert. The taste of the food was good, I just couldn't eat too much of it without feeling the pangs of regret and indigestion. 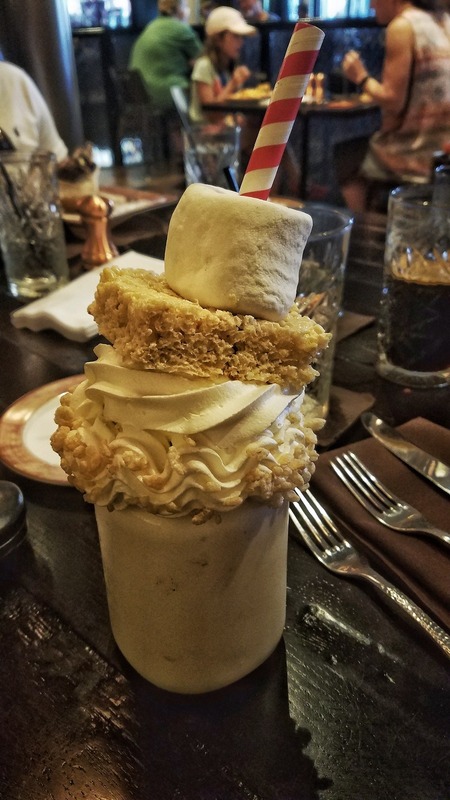 How are the desserts and milkshakes at Toothsome? No. 4 - Marshmallow Crisp - Vanilla ice cream, rice crispies, marshmallow fluff, Rice Crispies treat (and a gigantic marshmallow on top). See photo. Seriously - these things are awesome and humongous. They're like two desserts in one and really should be shared with at least two people for each one milk shake. ...they serve them in plastic jars that you can take with you. I ordered the Marshmallow Milkshake. I don't know why Wait, yes I do know why - my Fried Chicken BLT. I just wasn't feeling like chocolate for dessert. I wasn't disappointed at all with my choice. It was very marshmallow-ey, make no mistake about it. All of the options are over-the-top, though. I couldn't quite finish mine, but they know that will be the case for most, so they serve them in plastic jars that you can take with you. How are the prices and overall value at Toothsome? Finally down to the last category of this review of Toothsome - the price and value. Like parking, the pricing of Toothsome largely isn't the "fault" of the restaurant. It's more to do with the location than anything. You won't find "cheap" meals at any theme park in Orlando, and Toothsome is included. However, I would say that the atmosphere, food, service and experience provide a pretty good value overall. If you only look at the menu prices and not the full experience, you shouldn't be going to a place like this. Q: Can you get your parking validated from Toothsome at Universal Citywalk? A: Validation of parking was not available by Toothsome for those that park before 6pm as of the date of this review. Q: Does Toothsome accept reservations? A: No, Toothsome does not currently accept reservations as of the date of this post. When you check in, they can send you a text message to your phone when your table is ready, though. Q: Does Toothsome have a gift shop? A: Yes, the gift shop at Toothsome is inside the front door to the right. They have a wide variety of treats and gifts for purchase. Q: Do you have to sit in the full-service dining room for service at Toothsome? A: No, you don't. Toothsome has a walk-up counter service for milkshakes inside the front door and to the left. They must know their most popular items will be common to-go items and were smart in setting this up for guests that don't want to stay. Q: Does Toothsome offer a gluten free menu? A: No, as of the posting of this review, a gluten free menu was not available at Toothsome. Q: Is Toothsome kid and wheelchair friendly? 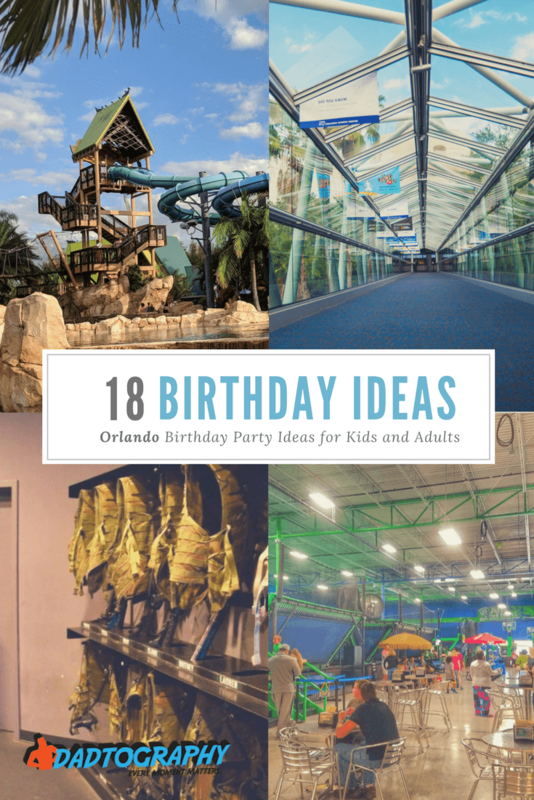 A: Yes, Toothsome is definitely kid-friendly, and the facility is compliant for wheelchair accessibility as well. Have you visited Toothsome Chocolate Emporium at Universal Citywalk? What was your experience?